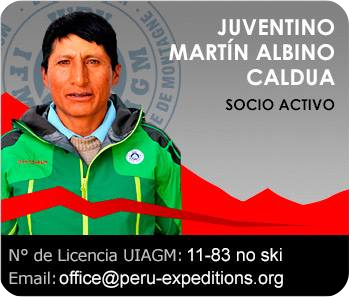 If you are going to book our daily tours for your acclimatization, and when you are sure that you are going to combine some other options like trekking, climbing or expeditions trips within the Cordillera Blanca or Cordillera Huayhuash with us, we would be happy to give you a good offer on the prices that are online. For more details and information please contact us ✓. The Cordillera Huayhuash (Huayhuash Range): A great short trek into a beautiful valley away from some of the other busy trekking trails. Ideal as acclimatisation for climbing and suitable for families or for those looking for an easier hike or camping trip while still experiencing magnificent mountain scenery. Features visits to glacial fed high mountain lakes. Laguna 69 spectacular: This lake is located in the Llanganuco Valley. The hike starts at the bottom of the Demanda Valley and takes about 3 to 4 hours. It takes about two to two and a half hours to return to the start point. On the return trip we have splendid views of snowcapped Mount Huascaran, Chopicalqui, Huandoy and Pisco, and very near we see Mount Chacraraju, and Yanapacha. Laguna Paron: The Laguna Paron is formed by glaciation of the snow; Caraz, Artezonraju, Huandoy, Paria, Piramide, Chacraraju and Pisco; It is the repository of the Huascaran National Park largest freshwater lake, has 4 kilometers long and 900 meters wide, with a depth of 76 meters and its contents is estimated at 53 million cubic meters, its waters are turquoise by sediments coming from the moraine that is the union of snow with ice and lack of flora. The lagoon is located 32 km from the city of Caraz, at a height of 4,185 m.s.n.m. From the lagoon the Artesonraju, Pyramid of Garcilaso, North Huandoy, Pisco, Paria snowcapped Chacraraju and appreciated. From May to September, lagoon Paron is the usual route to the snowy Artesonraju. It has wildlife such as, Tarucas, Vizcachas, Deer, etc. The Andean flora is abundant in their species queñuales, Ichus, Orchids. Laguna Llaca: The lagoon is located in Llaca valley west of the city of Huaraz. A perfect place for people to acclimate sthemselves, or want to try ice and rock climbing. On the way we pass the hut of the mountain guide school of Peru. Laguna Wilcacoha: It is located a short walk outside the town of Huaraz. We visit the Cordillera Negra, from where one has a magnificent view of the Cordillera Blanca. On a beautiful lagoon we will be able to see wild ducks. Culture Chavin de Huantar: The oldest stone building in the world is on the agenda, Chavin de Huantar, a complex of ruins in the form of a temple castle. The approximately 3-hour journey takes you past a crystal-clear lagoon and later sinking into a dark tunnel. During the tour, but it is light again, so we make only once the hill fortress Castillo. Probably still in its original place is El Lanzon, the lance, a 4.5-meter-high granite monolith. The east gate to the Tello Obelisk and the Raimondi Stela are other highlights of the day. Later we drive back to Huaraz, where is a little rest the day. The journey takes us through spectacular Andean pass with interesting insights into the southern part of the Cordillera Blanca. The Puya Raymondi: Is a bromeliad plant that only grows in certain places at a certain altitude. In its whole existence it will only flower once. When flowering, the Puya Raimondi shows about 20.000 flowers. Following the same road, we visit the Pastoruri Glacier. Quebrada Llanganuco: We visit the two Llanganuco Lakes located in the Llanganuco Valley: Lagunas Chinancocha and Orconchocha at (4000 m). From here, snowcapped Mount Huascaran, Huandoy and Yanapacha can be observed. In the Cordillera Blanca and Negra: There are many areas where you can practice rock climbing. There are many different rock climbing routes with different difficulty climbing (grade 4 to 8a +) and secured climbing walls up to 40 meters. In the Cordillera Blanca: Peru’s Cordillera Blanca is famous for being home to world class hiking and mountain climbing. It’s also a great place learn how to ice climb. 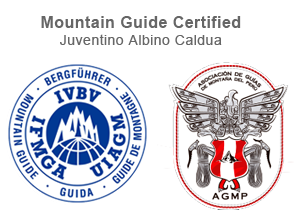 From the town of Huaraz, we can offer you ce climbing newbies and headed to Llaca Glacier, our classroom for the day.Or we can offer you a course with climbing Nevado Vallunaraju Summit.